Have you lost your Aadhaar enrollment slip which is given to you at the time of Aadhaar registration? Don’t worry. 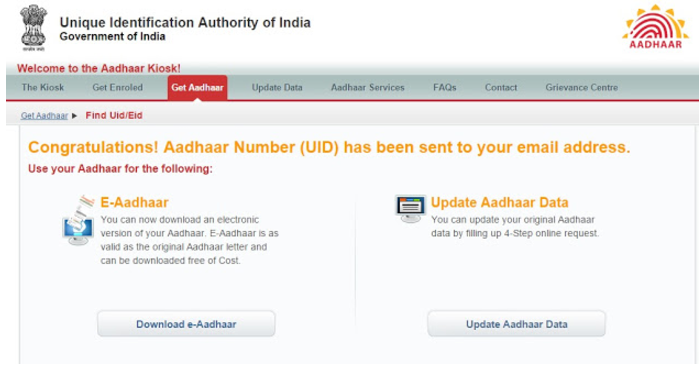 Still, you can download Aadhar card without enrollment number. Yes, the official Aadhaar portal has added so many new features so that you can get your Aadhaar card even if you have lost your enrollment slip. Yes, in this article I’m gonna show you how can you download your aadhar card without enrollment number. Getting Aadhar card download without mobile no is very easy if you have lost or misplaced your mobile number. 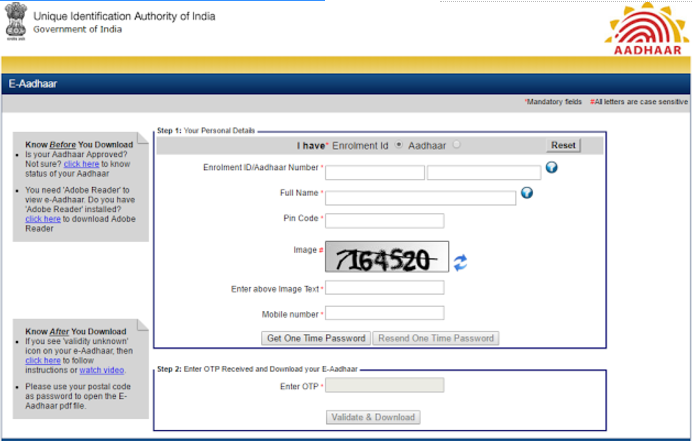 UIDAI Portal has made very easy for us to download the Aadhar card online. Earlier few years back there was no facility to download Aadhar Card online. We have to wait for 90 days to get Aadhar Card at our doorstep. If you have your email or phone number that you have used in your aadhar card then its too easy for you to get your aadhar card cause these things are necessary. So, lets find out how can you download your aadhar card. 2. After that you need to select the Enrolment No (EID) button. 3. Now here enter your Full Name, Mobile Number or Email id which you have given during Enrollment process. 4. After that enter the displayed security code . 5. Now click on Get OTP button. 6. A One Time Password (OTP) will be sent to your Email address or Mobile Number. 7. Now in the security code box just enter the OTP which you’ve received on your Email or Mobile. 8. Click on Verify OTP button. 9. Now you will receive your Enrolment No (EID) on your email address or mobile phone. 10. After that you will see the following web page. 11. Now you just need to click on the Download e-Aadhaar button. 13. Now you must fill the appropriate details – Enrolment ID, Full Name, Pin Code, Security Image Text, Mobile number. 14. After filling the appropriate details click on Get One Time Password and you will receive the OTP on your mobile phone. 15. In the “Enter OTP” box enter the OTP you just received. 16. Finally, click on Validate and Download. So, now you are at the last stage to print out your Aadhaar card. By clicking on Validate and Download, you’ll be able to download your Aadhaar Card. Now open the pdf file with any pdf reader software like Adobe Reader. It will ask for the password. Just enter your area PIN Code as the password. Then you will see the digital version of your Aadhaar Card. Take a print out of it. And write down your Aadhar Number in a safe place, it’ll help you in future if you again lost your Aadhar Card.